I love cafés and bistros, and I love good coffee. There is almost nothing that compares with a good cappuccino or latté in the morning, especially if I’ve ridden my bicycle to get there. So, for lack of a better place to put this, some of my thoughts on coffee. I’ve always enjoyed coffee’s and coffee drinks (and tea, beer, wine and scotch). What I’d experienced was good but not great. Worse, I thought that was it. It was only when I spent a week near a great coffee place some decades ago and sampled their variety of correctly prepared drinks that I realized how good and enjoyable coffees could really be. 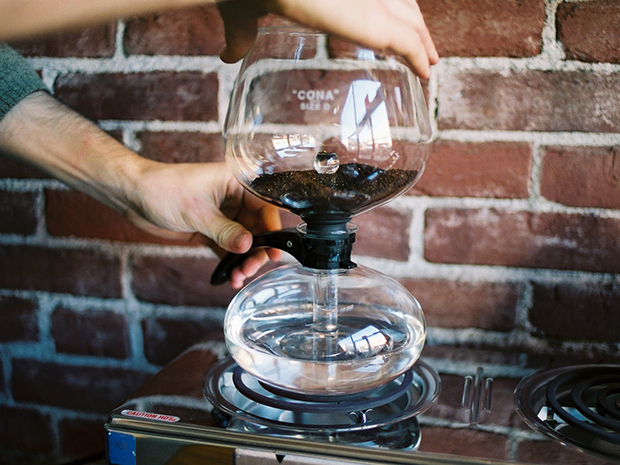 So, what makes for a good coffee drink? Ceramic Cup – This is surprisingly important. Paper imparts a bitter taste and especially to milk based drinks. Same for plastic lids and foam cups. Besides taste, it will also change the structure of milk and cause it to feel somewhat gritty. I always thought this was a poorly made drink until a barista in Austria told me that they never make milk based drinks in to-go cups and why that is. Ceramic cups and mugs (or glass) don’t cause these problems. And, to get really picky, I personally prefer the feel on my lips of a thicker rounded ceramic mug to a thin paper cup and think that it makes for a more enjoyable experience. And a good coffee drink is an experience and not just a drink. Espresso – I’ll leave details to later (or others) but correctly pulled shots of espresso are critical. An incorrect espresso can be bitter, burned, too strong or weak tasting. If the espresso is not good, the drink will not be good. Latté / Milk – The most important thing here is that it not be scalded. The milk should be steam heated until about 65°C. it should NEVER, in any part of the frothing jug, exceed 70°C. A mistake that I think many baristas in the U.S. make is allowing the wand to get too close to the bottom of the frothing jug which causes this area to quickly scald. Froth – There is a difference in froth and suds. Froth has very tiny bubbles that should be difficult to see. Suds look more like dish soap. A very well done froth can usually be poured without the use of a spoon. Froth is enjoyable, suds are not. This is the one bit that can also vary from country to country. French cafés will often create a near meringue and pile it high. Austrian and Italian cafés produce a creamy froth that can still easily be poured while Dutch produce a much thinner but still good froth. The Prep – First, there should always be a bit of espresso mixed in the steamed milk and froth as in the cappuccino above. Froth by itself, or worse, sudsy foamy milk, is not pleasant. Each sip should contain a bit of both. As to proportions of espresso, steamed milk, and froth, I’ll leave that to each individual barista. So long as the above are all done correctly, the proportions of each actually don’t matter that much to me. The Finish – Topping off with a bit of powdered chocolate or sugar can be a nice touch. Similar to above, personal preference plays a critical role. 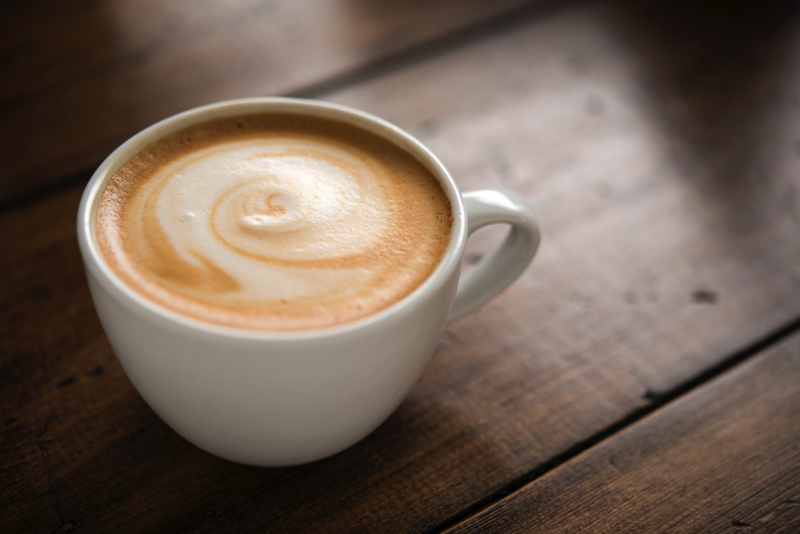 I go out for a cappuccino just about every morning except Christmas and have for around 40 years so I’ve developed my own personal preference for what a good cappuccino is. I want to avoid bitter or weak espresso and scalded milk. I want froth and not foam or suds (air bubbles should be almost invisible) and the proper amount of espresso, milk, and froth. I prefer a bit of espresso in my froth (and a bit of powder cocoa is nice). Paper and plastic cups have acids and other chemicals that react with the drink and give a bad taste. Safest is to always use a ceramic mug. Others will have different and equally valid opinions. As I have time I’ll expand on this list. Blue Moon / Black Dog / Angry Catfish / Spyhouse / Claddagh – Sometimes froth can be a bit sudsy and espresso slightly bitter but that’s somewhat rare. Generally these produce a good cup. Dunn Bros – Most Dunn Bros are pretty good and fairly reliable, but not all. The Dunn Bros in Roseville was quite good for years, particularly Travis who was often there in the mornings, but it has recently declined rather significantly and we rarely go there anymore. Roseville is still a good source of beans though. Starbucks – A great cup is rare, but so is a bad cup. Mediocre, but consistently mediocre so a good option if nothing better is available. Quixotic – Froth is kind of sudsy and they say they pull their espresso shots ‘ristretto’. This should result in a less bitter cappuccino than a normal shot but theirs have sometimes been quite bitter and unpleasant in my experience. Caribou – Almost consistently the worst in my opinion. Espresso is consistently bitter and froth is often suds rather than froth. It’s not unusual for the froth and steamed milk to be scalded. They also do not have ceramic mugs for larger drinks. About a decade ago the Caribou in White Bear Lake was quite good, but that is no longer the case. One problem is the machine they use which limits the ability of even the best barista’s. One bright spot is Shirley in North Oaks Caribou who does better than most. And, some places I haven’t been to enough to form an opinion, but seemed good and are worth checking out; Amore, and Fresh Grounds. Good drinks can also be found at other places like Taste of Scandinavia in North Oaks, French Hen on Grand or French Meadow. These may not compare to a Cahoots but are better than Caribou. Best is really a matter of personal opinion. What I like may well not be what you like. Among coffee snobbery you’ll hear a lot of debate about Aero Press vs Pour Over vs French Press vs Vacuum Pot. They’re different but none are really better than the others – in my opinion. All are my preferred methods for my morning cup and I alternate between them. Vac Pots are more fun though and do make great coffee. For a push button machine, Nespresso is in my opinion the only option. Better than Aero Press? Not to me. Different, enjoyable, not better but also not necessarily worse. If you order ‘coffee’ at a café outside the U.S. and they recognize you as American (and they will), they’ll often, if they’re nice, ask if you want coffee or American coffee. If you say American coffee they’ll pull a shot of espresso, add a fair bit of hot water to it, and you’ve got a really great cup of joe. 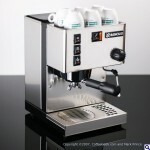 You can do much the same at home with a good espresso machine such as a Rancilio Silvia. Again, different, but not necessarily better. 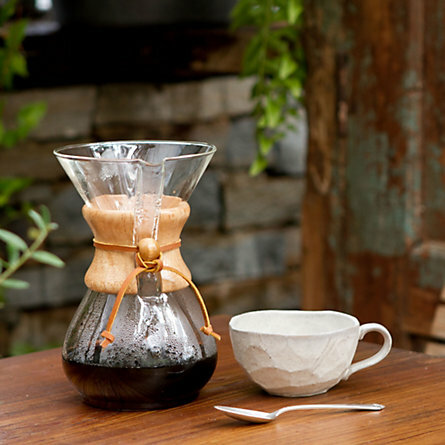 Chemex or Pour-over – Produces a weaker coffee due to a much finer filter than those below and no pressure beyond gravity. Very enjoyable though and you will notice tastes that are absent in other brew methods. I prepare mine on a scale by zeroing out the pot & filter, adding 14-16g drip grind coffee and enough water until the coffee ‘blooms’. I let is sit for about 30-60 seconds and then fill to around 400-450 grams total weight. If using a metal filter then I remove the filter before all of the water has dripped through to reduce the mount of ‘fines’ or small grinds in the coffee. Aero Press – Makes a very good and somewhat strong coffee. I sometimes add a little bit of hot water to mine. If you like to experiment do some web searches or check out Coffee Geek for alternative methods with the Aero Press. There are also fine mesh metal filters available that I recommend. French Press – Makes a very robust coffee but not as strong as Aero. Confused? 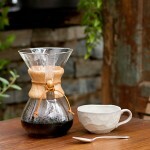 French Press results in more oil from the coffee beans than Aero which filters more of the oil out. The health affects are debated but it seems that most believe that the higher cholesterol of the coffee oil outweigh the benefits. I use my Aero more than French Press but still have a couple of French Press cups per month. 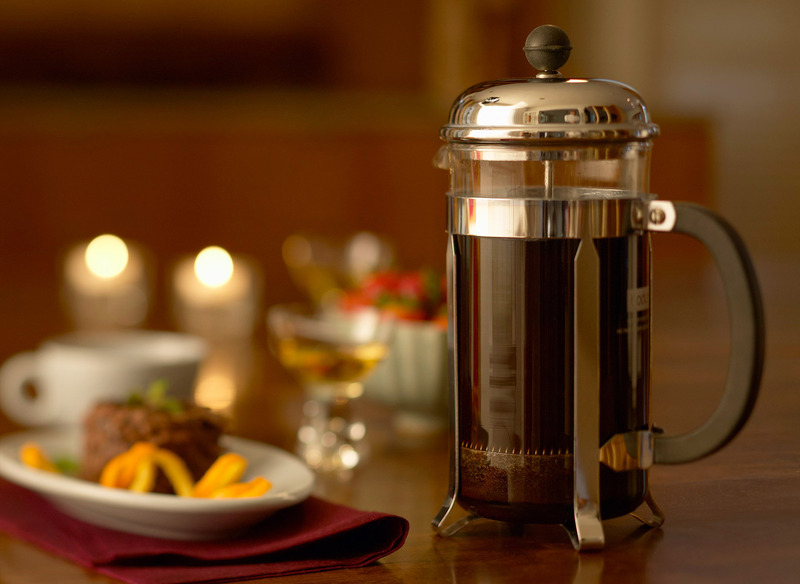 We also have several large French Presses that work well for entertaining. Vacuum Pot – Vac pots make great coffee that to me is very similar to French Press though not quite as strong. They’re a bit more of a pain to use but a lot of fun, especially with guests who’ve never seen one before. 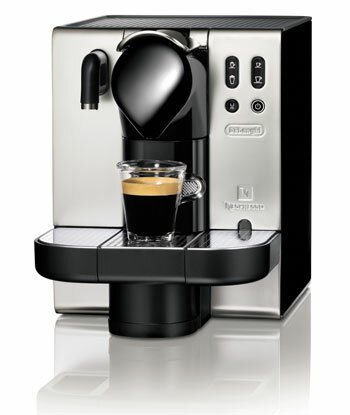 Nespresso – From a user standpoint a Nespresso operates similarly and as easily as a Keurig or Tassimo. Behind the scenes there are significant differences however. Nespresso is a higher pressure espresso type machine while Keurig is closer to drip with just enough pressure to get water through the k-cup. Nespresso takes greater care in producing their coffee pods than is taken in producing k-cups. Nespresso grind to sealed pod, and thus air exposure, is much quicker. The cups are metallic rather than plastic and the overall result is a much fresher and better tasting coffee than other similar systems. Note that there are two lines; Classic or OriginalLine and VertuoLine. Classic or OriginalLine is the what you want. VertuoLine is better than Keurig or Tassimo but inferior to Nespresso Classic. 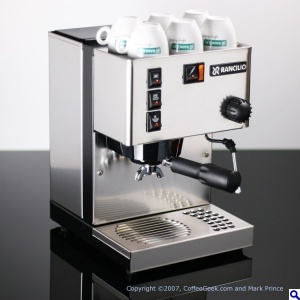 Rancilio Silvia – This is, in my opinion, overwhelmingly the ‘best value’ espresso machine for home. Lessor machines (some of which cost more) aren’t nearly as good and a better machine will run you over $2k. Many aficionados will buy a Silvia and then add modifications from PIDSilvia. 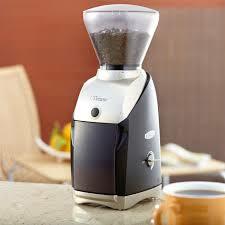 Baratza Virtuoso Grinder – Fresh and properly ground coffee is perhaps the most important element to a good cup. There are many good grinders and many that are much better than this, but for the money ($229) I think this is the best. Next up the list would likely be a Mazzor Mini. For good coffee this is the first place to invest your money. 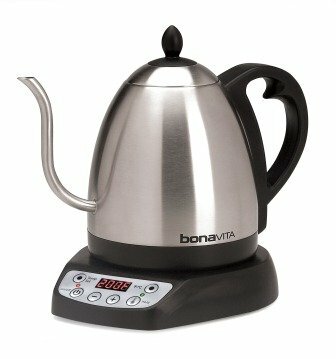 Bonavita Kettle – Water temp is important and the Bonavita nails it every time. I use 89c for coffee and 97c for black tea. A Bonavita is also easier to use. Fill it up, press a button, and you’ll have perfect temp water quite quickly. It’s easier to pour from and the handle never gets hot. Even though I was familiar with them I didn’t know what I was missing until my son and daughter-in-law gave me one for Christmas. A good and properly roasted bean is critical. I generally prefer French Roast Columbian and this works well for both coffee and espresso/cappuccino. Beans are generally best within about 7-10 days from roasting so I buy a 1/2 pound each week. However, if stored in a cool dry place (like in original bag and then in a sealed plastic bin) they can still be relatively good after two or three months. Do not store in a refrigerator! Dunn Bros in Roseville is the best option I’ve found in the NE Metro (note: It’d seemed to me that their quality had declined and I recently learned that their long time roaster had left about 6 months ago). Freshly ground beans are critical. And by fresh I mean seconds matter. If you watch a good barista you’ll see them move extremely quickly once the beans are ground (and they’ll always grind beans fresh for each drink). This is the same at home with an Aero Press or any other method of making coffee. Don’t grind until everything else is ready and then move quickly to brew. Water and temp are important. Pure bottled water is best, followed by filtered tap water (though if your community over modifies your water with chemicals then this won’t be such a good option). I like well water, others don’t. Distilled water and softened water should always be avoided (for coffee and for cooking). Generally 195-205°f or 91°c is considered ideal. My teapot whistles at 198 so I let it whistle for about 2 seconds and I’m at about 202-205. Boiling water will scald the coffee and below about 195 produces flavorless coffee. Oxygen in the water matters and when you heat water it gives off its oxygen. Italian baristas say that water low on oxygen is lifeless. Always start with fresh cold/cool water. Never use hot tap water that has very little oxygen and never reheat water. Bring the water to temp, use it, and toss the rest. Soap or detergent is the enemy of good coffee. My French and Aero presses get rinsed in water after each use and that’s it. I wash them in the dishwasher about once each year. If, like ours, your dishwasher doesn’t rinse well then it may be worth rinsing your coffee mug under warm water, wiping it with a dish towel, and then rinsing again (this also applies to wine and whisky glasses). Also, before pouring coffee in your mug let it sit with some hot water in it for a few seconds or minutes to warm it up. In the end, it’s all still personal preference. If you’re happy with your drip, Keurig, percolator, or freeze-dried Sanka there may be no reason to change. Once you try any of the above though you may be hooked. Fortunately, the first two are the least expensive of all methods (except for my Swedish mother-in-law dumping ground coffee in a pan of hot water and then breaking an egg in it).